Grammy-nominated country music singer Sammy Kershaw will join famed Nashville radio personality Charlie Monk this weekend on SiriusXM Prime Country. The two longtime friends will chat up Kershaw's 25-year career, his George Jones tribute album, as well as his new Blues album, The Blues Got Me. The new album is available now at Amazon.com and iTunes. Kershaw guests on Prime Country (SiriusXM Ch. 58) this Saturday, July 9 / 6-8 PM ET. 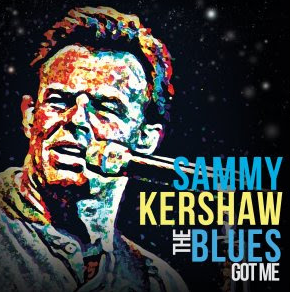 Sammy Kershaw is a Grammy-nominated country music artist whose history includes six Gold and five Platinum albums that have collectively sold millions of records throughout the world. Kershaw's hit songs include "Cadillac Style," "Queen Of My Double Wide Trailer," "She Don't Know She's Beautiful," "I Can't Reach Her Anymore," "National Working Woman's Holiday" and "Love Of My Life."